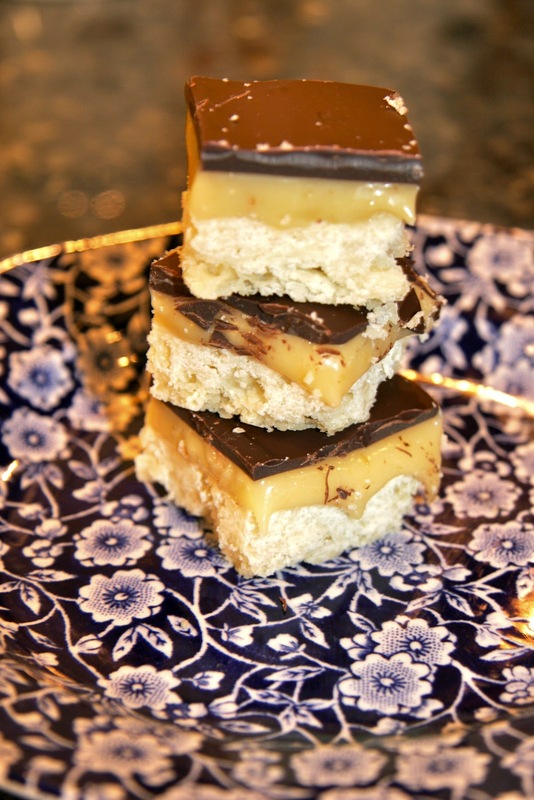 We posted a photo on Facebook last week of our Friday afternoon treat, millionaire’s shortbread! It seems that everyone thought it looked delicious, which it truly is! A couple of our Facebook followers have asked for the recipe so I am posting it here. There are lots of recipes online for millionaire’s shortbread but the one I used was from a Cath Kidston catalogue I had picked up in England during a trip back. All the online recipes seem to have the condensed milk in, but I think the secret to this recipe is adding the yummy English golden syrup, which is more readily available these days than it used to be. My local supermarket stocks it. 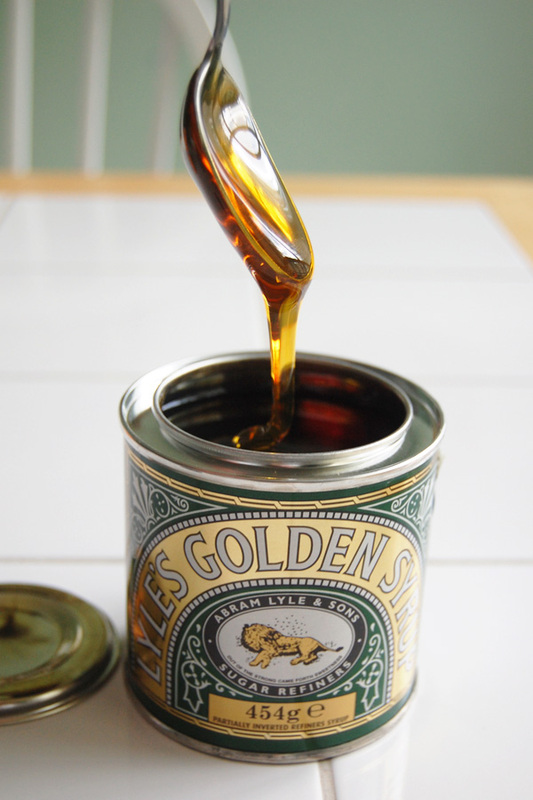 You can use this golden syrup on pancakes too. I have another goodie recipe with this syrup in that I can share soon. Hope I got all the measurements right as I have converted the recipe from metric! Tricky thing to do between ounces, grams and cups! I have looked at all kinds of websites and apps; I hope this works out for you. Line a 9 inch brownie pan with parchment paper. Put the flour and sugar in a bowl and rub in 8 oz/1cup of the butter – the mixture will be sandy but malleable enough to form a ball shape. Press the mixture into the tin and press down. Prick it with a form and bake for 5 minutes. Then lower the oven temperature to 300° F and cook for a further 30 minutes or until pale golden and no longer doughy. Leave to cool in the tin. Melt the remaining 4 oz/1/2 cup of butter in a pan over low heat for 2 to 3 minutes, then add the milk and syrup. Whisk the mixture until the butter is mixed in. Bring to a slow simmer, then, keeping the temperature even, cook for 10 minutes, stirring continuously, until the mixture is thickened and light brown. Pour the sauce over the shortbread and leave to set. Break the chocolate into pieces and place in a microwaveable bowl. Microwave for one minute 45 seconds on high, or until fully melted, stirring half way through. Leave to cool, then spread the melted chocolate evenly over the toffee mixture and leave to cool in the fridge for one hour. Once set cut into squares. Looks good, I'll have to try the recipe!